More details of Fan(2015) on wikipedia. WoW, amazing, "Fan," yet another copycat movie by Bollywood lol of "The Fan," a HOLLYwood movie staring Wesley Snipes and Robert De niro released in 1996 directed by Tony Scott. Same plot. Google it, even the film dvd cover is the same layout (De niro and Snipes) lol. Bollywood has no originality and it seems neither do the actors. The actors (with the exception of a microscopic handful) seem to just do it for the money, perpetuating the copycat routine but with excessive european/caucasian mannerism. Don't they read the scripts to avoid copying western films, and criticism like mine? The directors must think that it doesn't matter because everyone in India won't know that it is a copy of an americam film. Typically the storylines are predictable and the same, two men chasing the same woman, alot of bad english, copied scenes almost identical, with plenty of exageration and funny european (to me) dancing. I am a British born Bharatiya, but my heart is in Bharat and Bharat is in my heart, not this embarasment of a spectical known as copycat India. Can at least one director who is actually serious about making films in the whole of the "Indian Subcontinent al teast make an original film? Original Fan(2015) Blu-ray released by Yashraj comes in 1 disk Blu-ray pack. Blu-ray having 3 Subtitle. with 5:1 Dolby Digital audio quality. While processing the order, we bubble wrap the Blu-ray in its original packing and send it in sealed plastic or carton pack. We don't offer download of the Movie Fan(2015), nor we send free poster of the Movie along with its Blu-ray order. We also don't offer free wallpaper or song download of the Movie. Poster and other accessories of the Movie can be purchased separately. Buy Hindi Blu-ray Fan(2015) and watch them at the comfort Of your own home. Online shopping Fan(2015) Blu-ray, Buy Fan(2015) Blu-ray, purchase original Hindi Blu-ray of Fan(2015). 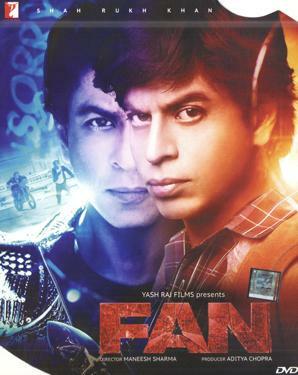 Online store to buy Fan(2015) Blu-ray	, online Blu-ray store india, buy Hindi Blu-ray, watch Hindi movie Fan(2015) videos online. We don't offer Blu-ray renting for Hindi movies online, Buy Original Fan(2015) Blu-ray @ discounted and cheapest price online in India.